Contact us for any railcar transloading-delivery, intermodal, warehousing or rail logistics service with EXCELLENT Customer Service. Railmark Logistics is the rail logistics division of Railmark Rail Services Inc. and is a full service rail logistics firm providing turn-key intermodal, rail-truck transfer and rail-barge transfer freight logistics shipping solutions. Railmark Logistics specializes in distribution and supply chain management of rail and intermodal freight to companies or facilities not directly served by rail or that require additional transportation, logistics management or transloading for final delivery. Railmark performs its rail logistics services through its network of Railmark Rail Service Centers. In addition to the operating locations listed, Railmark Logistics has access to hundreds of other locations across North America for Rail Transloading points, as well as, several inland waterway ports. The Company has rail business experience in over thirty countries, including Africa and China. Our published and unpublished network of Rail Transloading facilities are extensive, allowing us the simplicity of only needing to know the origin and destination of your shipment. We can then create simple, cost effective point to point shipments for our customers, providing a seamless transportation solution. Services offered by Railmark Logistics include all points in supply chain management, including bulk storage and warehousing, rail-truck transfer, rail-barge/ship transfer, loading/unloading, doorstep delivery, staging/holding, inventory reporting, inventory control and security services. Railmark can coordinate all transactions with the railroads and steamship lines. Railmark's Customer Service Center and marketing personnel are seasoned transportation professionals dedicated to providing a level of service unseen in today's transportation marketplace. Railmark Logistics maintains a growing global footprint and has global rail business experience in over thirty countries. Railmark has access to rail transportation sites in all 48 continental US states and several locations in Canada and Mexico. Railmark is open to joint ventures and partnerships with shippers desiring one-source transportation solutions. Railmark's "one stop solution" business approach is well received among shippers. Some Railmark's teams are dedicated to a single customer and we welcome the opportunity to provide contract logistics services to your entire company. With Railmark Logistics, just tell us where you need your shipments to be. It's that easy. Railmark will get your shipment there and on time. Railmark Logistics works to simplify the rail transportation process for the customer, shipper and connecting railroad. 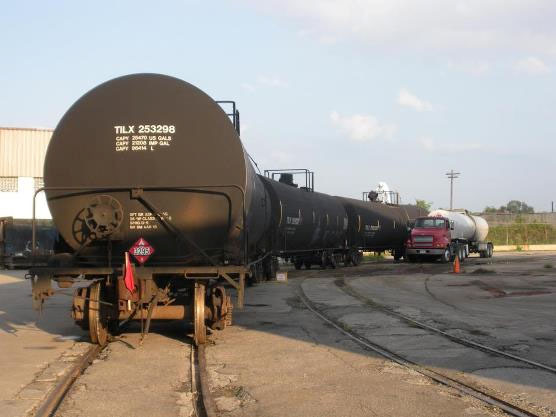 RFS helps deliver the efficiencies and economics of rail transportation to your doorstep! Contact us today to learn how Railmark can work for you! COMPLIMENTARY DETAILED COST ANALYSIS ON THE SAVINGS FROM USING RAIL: Railmark can perform a detailed analysis to help demonstrate the benefits of using rail and its savings. Its complementary. COMPLETE TRANSLOADING SERVICES: Through Railmark's published network of Rail Service Centers and its non-published rail access points all across the U.S., Canada and Mexico, Railmark Logistics can provide rail to truck logistics solutions. Our service packages include the last segment of truck delivery with our dedicated Customer Service Staff keeping you informed all the way. One rate covers it all. SPECIALIZED TRUCK TRANSPORTATION: Railmark offers the truck transportation for the final segment and can also provide dedicated trucking services and "hot shot" trucking services. SHORT TERM STORAGE & WAREHOUSING: Whether you need short term outdoor or indoor storage from the time your railcars are unloaded until the time you need the truck delivery, all of Railmark's Quotes include this service as a part of the rate. Need longer term warehousing? Railmark can provide that too. INTERNATIONAL & DOMESTIC INTERMODAL: Railmark can access a number of worldwide carriers to get you the best rate possible for containers coming into or out of the U.S., as well as, domestic intermodal. Railmark has Agents all over the world that can assist locally and Railmark has China resources that allow for a seamless transaction between the U.S. and China. MATERIAL HANDLING; REPACKAGING: Railmark can offer a variety of material handling options, including repackaging. We will custom design a service option to meet your specifications. VALUE-ADDED INVENTORY SERVICES: Inventory records, tracking and other inventory services are available. Railmark can design its service plans making our facility your off-site facility. BARGE / SHIP TRANSPORTATION: Bulk marine and other ship transportation services are available. Railmark Logistics works to simplify the rail transportation process for the customer, shipper and connecting railroad. Railmark helps deliver the efficiencies and economics of rail transportation to your doorstep! Contact us today to learn how Railmark can work for you.